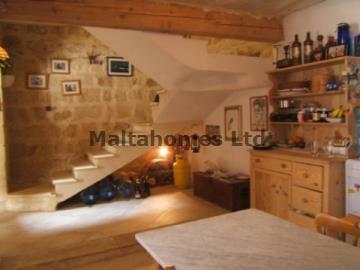 Bathrooms 2 + Spare W.C.
A recently fully converted 3 bedroom House of Character located in a tranquil area of Naxxar compromising of an entrance hall, central courtyard, large lounge with functional fireplace, kitchen/dining and a spare W.C. at ground level. On the first floor one finds 2 double bedrooms (main with en-suite) and on 2nd floor is a third double bedroom, main bathroom, roof terrace and a washroom. This property is to be sold with a fitted kitchen and has an option to be sold furnished at an additional cost.